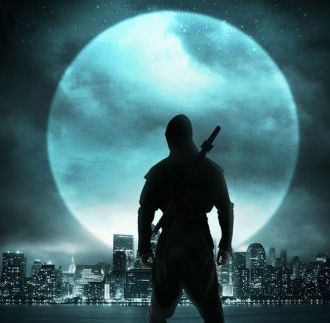 The Zombie Ninja joins our podcast for a discussion on preparedness, emergence and ninjutsu. Zombie Ninja explains his self created Martial Art and philosophy while sharing the path that led to his own emergence. Here's something for a specific musician that I'm quite fond of Shane, although his intentions are quite muddled and distorted like yours. Although the song in question is a bit corny, but strangely the images seem to align with him words such as "the walls" or perhaps the word "home." You should know who I am talking about. In some ways, you seem intertwined and he has inspired others. The name is not meant to be insulting and is purely coincidence. https://www.youtube.com/watch?v=0V4vCNpIKxU Whether the concept of "loosh" energy is real or not makes no difference to me. As of right now, I don't believe it has stopped, although you may believe otherwise. The Ra concept of harvest bears a direct correlation to the harvest of burying moblies under water, which is hell on Earth and purposefully, keeping people in an egocentric reality that is fragmented and is constantly in conflict. Possibly, these same beings now wish to create a loving reality to get more "loosh." What gets me (if this is true), is that these specific beings were never honest and never asked the humans for Loosh. So we have humans, abducted, lied to, harassed and then lied to by humans. "Loosh" harvesting is largely, mechanical and repetitive like human behavior. Although the concept, of someone from somewhere giving a piece of himself is like Gurdjieff's concept of kundabuffer to three brained beings. Wonder if there is a connection, but I digress. I have a love and hate relationship when reading up on the Zeta Reticulans. So why not go further with anyone. I call this video bleedthrough. At them not at us. https://www.youtube.com/watch?v=PBUgk3wm1hg The movie always interested me. I wish the world could change. So many people that lie to themselves. If this continues, humans will be left with themselves and everything that is beautiful will be dead. These little beings that feed off of us must be children like us and are just as lost as us. Good luck with your endeavors. Apologies to others unintentionally harmed by my behavior. Pass it on if you wish. The "angel" in front of Tila was interesting though :) I call you Dovakhiin (this is amazing) and if you're a liar "fus ro dah to you!!!" I'm a ka-mai btw. Take care now. I'm not playing anymore. Wanted to make amends to you and others. Hopefully, this will suffice. I like this ninja guy. Very clear concept of coming to this earth to learn and to get new qualities in connections with other people and situations. This way we grow, otherwise in paradise our wings would be unable to hold the weight.